Hindu beliefs and myths have attributed divinity to several trees and leaves. Rudraksha is one of those that is famous throughout the world for its mystical property. In Hindu religion, this is regarded as holy tree and fruit, like basil. ‘Rudra’ is the other name of Lord Shiva and ‘Aksha’ means eyes. 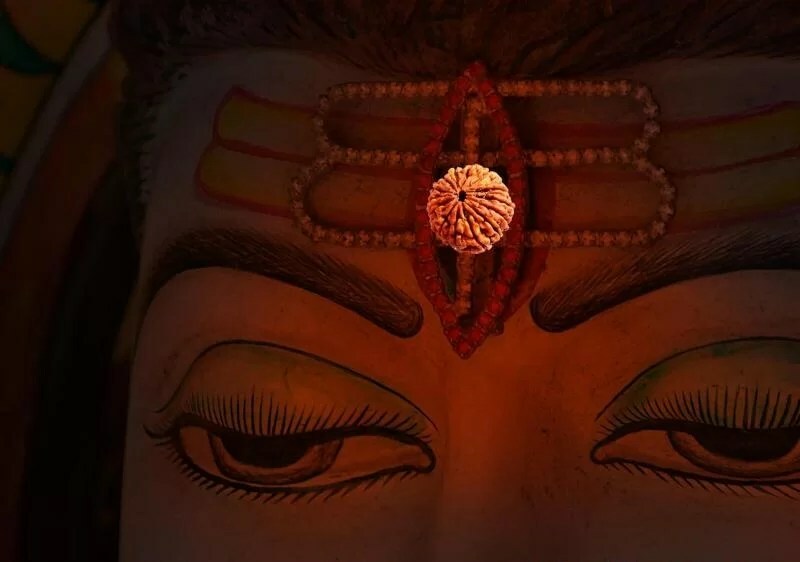 The third eye of Lord Shiva is considered the center of the cosmic power and Rudraksha is the manifestation of that. The importance of Rudraksha has been depicted in the ancient scriptures of Hindu religion, like Shreemaddevibhagwat, Padma Purana, Shivmaha Purana, Ling Purana, etc. From ancient time, Rudraksha has been worn to get good health and to attain spiritualism. It is believed that the Rudraksha beads are the perfect amalgamation of the power of praying. From housewives to students, businessmen to yogis, anyone can wear Rudraksha beads. According to saints and yogis, rudraksha beads are excellent for getting astrological benefits and spiritual attainments while it is believed to attain great health. It is stated in Shiv Purana that Rudraksha is so powerful spiritually that it can remove all sins, committed by someone in his lifetime. Rudraksha is always associated with Lord Shiva and all his pictures and idols are seen with Rudraksha beads around his neck. That’s why it is absolutely sacred and the center of the power of Lord Shiva. Vedic Texts state that worshipping Rudraksha can bring better health, good luck, peace and prosperity in your personal and professional life. Not only it is popular for its spiritualism, but Rudraksha can also take good care of your health by removing blood impurities and prevent bacteria build up inside your body. To cure a headache, paralysis, cough, heart diseases, blood pressure, and even maternity problems can be treated by Rudraksha. It is powerful spiritually and scientifically.